This is news worth getting excited about; tabletop games maker, Modiphius, has partnered with Ripstone and developer, Auroch Digital, to announce a Call of Cthulhu tactics game. Titled Achtung! Cthulhu Tactics, the game's not just about beating off the eldritch evils of Lovecraft's mighty vision, but the Nazis, too! This is a World War 2-themed dark fantasy game in which the Nazis, in their mad quest for power and willingness to do generally evil things, have turned themselves into monsters from out of time and space. Yes it plays into that popular plot hook that the Nazis were right into the occult, and yes we've already seen that hook play out over and over again, but hey, what works, works. The tabletop version of this game has been a wild success, and early indications of the Kickstarter for the video game suggest that the demand will be no less for the digital edition. And there's real heritage in the game, too. Tomas Rawlings, the head of Auroch Digital, was also responsible for Call of Cthulhu: The Wasted Land back in 2012. 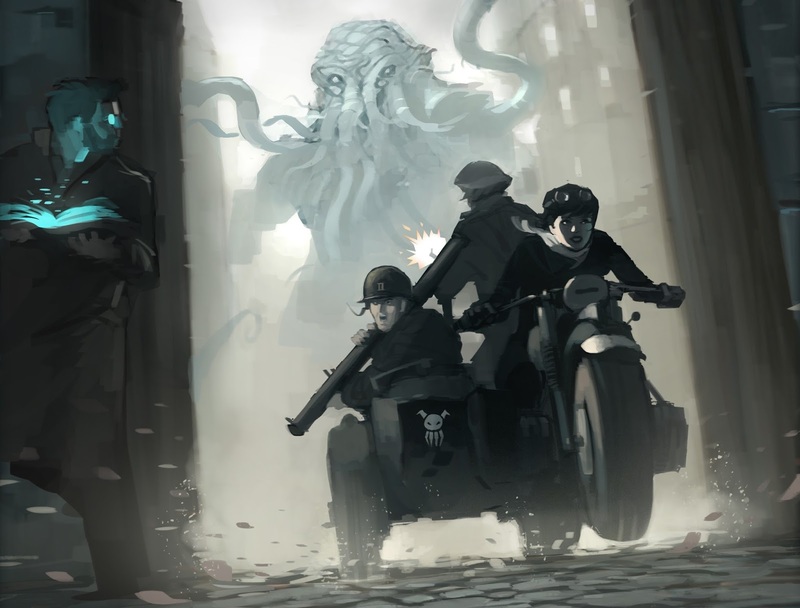 That, too, was a blend of World War 2 dark fantasy, Nazis, and Cthulhu, and it was a game that we really loved back in the day. With 23 days to go, the Kickstarter for Achtung! Cthulhu Tactics is just about at its goal of $17,766. If it looks good to you, you can also back it here.